NYC, 04/17/2019, 11:30AM. 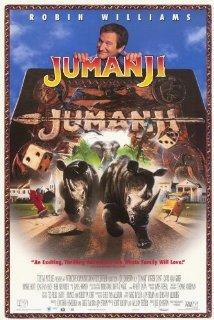 Jumanji (1995) With Robin Williams, Kirsten Dunst: Trapped In Board Game. 104 min. Director: Joe Johnston. It is an adaptation of the 1981 children's book of the same name by Chris Van Allsburg.